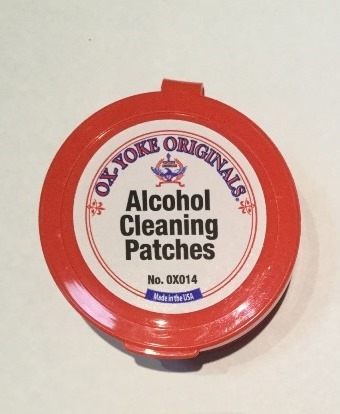 50 presaturated alcohol cleaning patches. Great for in-the-field cleaning, especially your flintlock frizzen, flint, and pan. Quickly removes moisture, lubes, and residue from the frizzen and flint, and dries quickly to provide optimum spark. Wipe between each shot for sure fire ignition. 50 patches in an airtight plastic tub with a pop-off lid, 2" (5cm) diameter, 1" (2.5cm) high.